Easter is a function that is celebrated with utmost fervour and when you are in London, and there is a stretched four day bank holiday, all you can do is enjoy here. Even if you are not a resident of the place and you have come here for holidays, sit back and enjoy all these Easter specialities in London. Here is a list of the things you can do in London to make your Easter special. 1. The Oxford v. Cambridge goat race- Once you book your tickets to the event, you can visit it and see what happens there with your own eyes. The gates open at noon and even though the event doesn’t start before anytime between 2 pm to 5 pm, you have varied ranges of things to do in the farm. Booze, food and fun games related to goats, you have them all and not just that. Just like any other race, this race also gives you an option to choose your favourite goat between the Oxford one and the Cambridge one and then you can bet on them with the bookies that are present there in the farm and cheer for your favourite, while you see it win. 2. The Easter Weekend Small Films Marathon- You know what the best part of these events are? THEY ARE FREE!! Any person who is a visitor or who wants to have fun can come to the screening of back to back animated films by Peter Firmin and Oliver Postgate and enjoy themselves. Through this event you can spend your holiday enjoying cult animated classics and reliving every moments that you have spent during your childhood or teenage years when you watched the movies for the first time. Since they are small films so they won’t take long to get over and you will be able to watch many back to back. Make the most of it. 3. Christathon- I am sure for visitors this would be a wonderful thing to be a part of. In this event people dress up as Jesus Christ’s and visit biblically named Pubs to raise money for charity. Yes, this is one event where you have to pay but there is no limit to the payment, you can pay as much as you want because it is for charity. The check points for dressing up as Jesus Christ is white long tunic, a long wig and a felt tip beard and you are good to go. If you somehow missed the beginning of the pilgrimage at The Trinity then don’t worry, you can join anytime by calling in the helpline of Christathon. 4. Easter country fair- Just like any other fair you have visited, this fair also promises to be a lot of things but the notch of fun and enjoyment just doubles up since it is Easter. Held over two days, this fair has been known through generations as the perfect fair that would give some traditional entertainment and fun that too outdoors. Visitors can also be able to enjoy miniature pony displays, bottle feed lambs and kids and wonderful performances. You can also visit the medieval village and see some fighting knights. Food and Drinks are also available in the fair to make it all the more fun. 5. The boat race- Just like the goat race, there is a boat race too that goes around during Easter in London. Also played between Oxford and Cambridge, this race features both a male race and a female race. The highest record is being held by Cambridge now. Racing on the Thames, this race lasts around a maximum of 18 minutes. 6. Craft100- You know what makes this event one of the most attended festivals in the history of Easter events? Because it is a Beer festival. You can come here and find yourself amongst the best beers that are available in the market. There is nothing high end to do here; all you have to do is get yourself a glass of whatever brewery you want and start sipping. And for all we know, great friendships form over a glass of beer. 7. Painting the Modern Garden: Monet to Matisse- For the art lovers, this show should be on the must visit list and why just for the art lovers? You can also visit the show and be enchanted with the paintings and the art around yourself. The level of history that is associated with the art that you would be surrounded in cannot be described and you would have to visit the place once to see. This show is such that you get transferred to another world where there is nothing other than modern art around you. Along with the ones mentioned above, there are a few other events where you will be able to enjoy yourself if you are in London during the four day long Easter break. 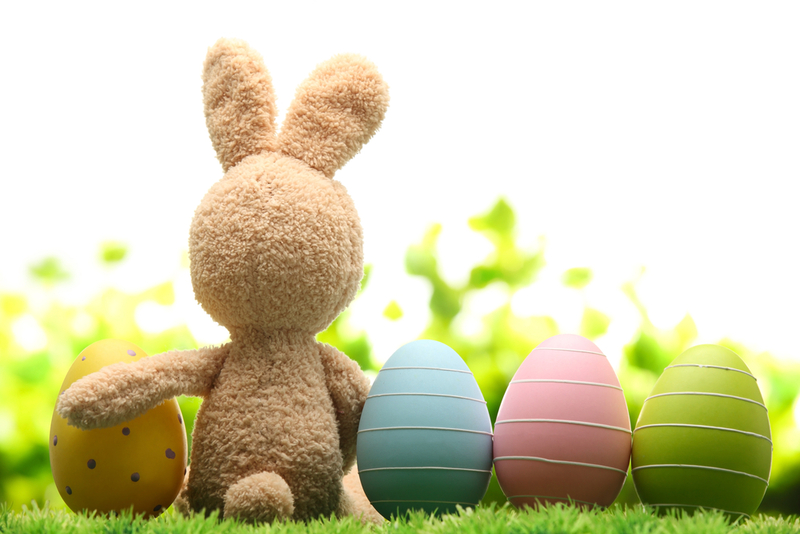 These events the wonderful Epping Ongar Railway Easter egg hunt where you have to hunt for Easter eggs and which will be presented to you in the form of a treasure hunt. Next, you can visit the Cabbages & Frocks Market where you will be able to see a wonderful combination of food and clothes for women in a wide range and guess what? You will be able to buy from there. Finally, after you have been to all these and enjoyed yourself, you can loosen up and let yourself go with the music that Global Rhythms: Easter Sunday would give you. What is the London Design Festival?